• Large, molded plastic, paddle-shaped handle accomodates detailed logos and multicolored imprints. • 3/16”wide by 12” long plastic streamers. • Available in streamer counts of 500, 750 and 1000. • Also available with 220 3/4" wide streamers. • Imprint on 1 or 2 sides. •Made in the U.S.A.
• Sixteen different and popular spirit shapes. • 3/16”wide by 12” long plastic streamers. • Available in streamer counts of 500, 750 and 1000. • Imprint on 1 or 2 sides. 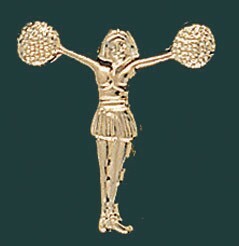 • Made in the U.S.A.
Pom-Pom Girl Metal Chenille Letter Insignia Pin. Gold finish with a clutch back. 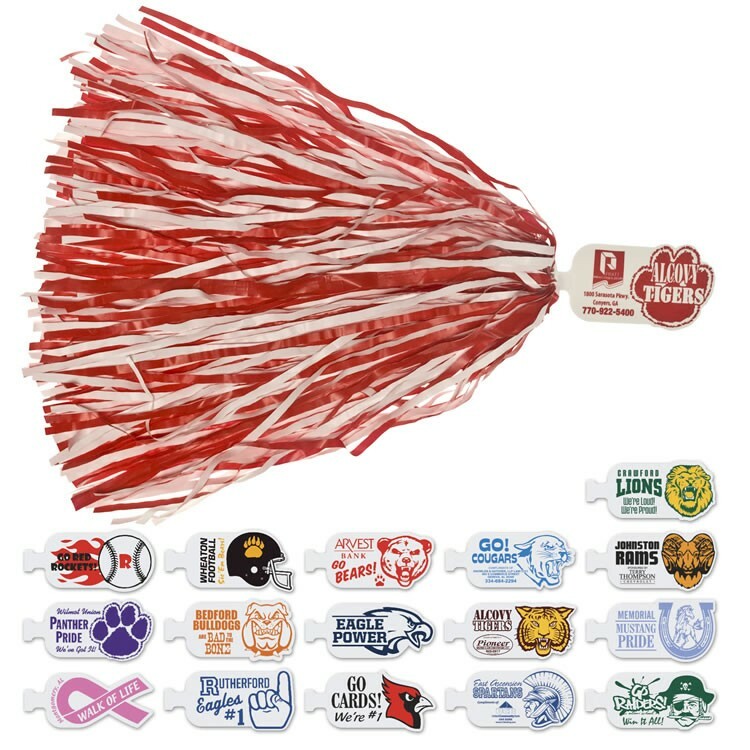 Coupon Handle Poms feature a pop-out disk that can be used as a coupon to redeem an offer from the advertiser, or simply highlight a logo or message. 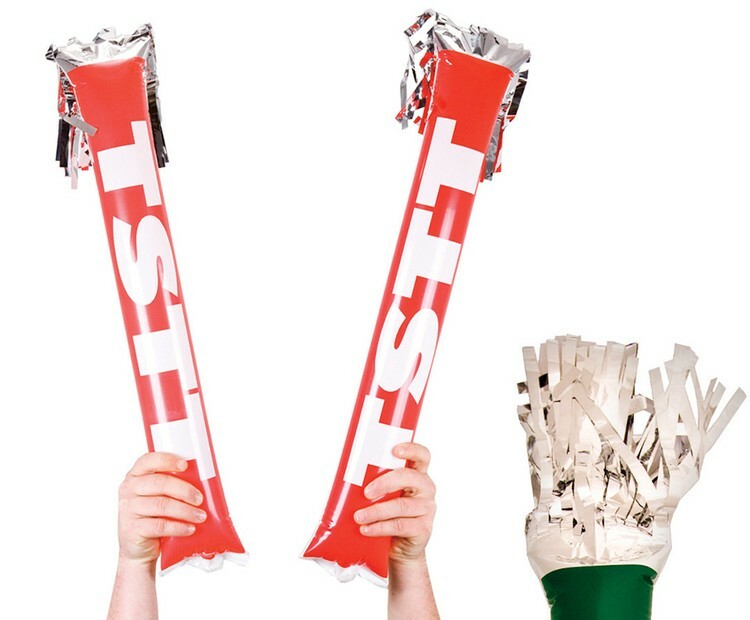 Choose between either solid or mixed colored plastic streamers. Pop-out coupon disk with separate imprint area. Generous 4" x 1 3/4"- sized molded plastic coupon handle. 500-count 3/16" wide, 12" long streamer pom. 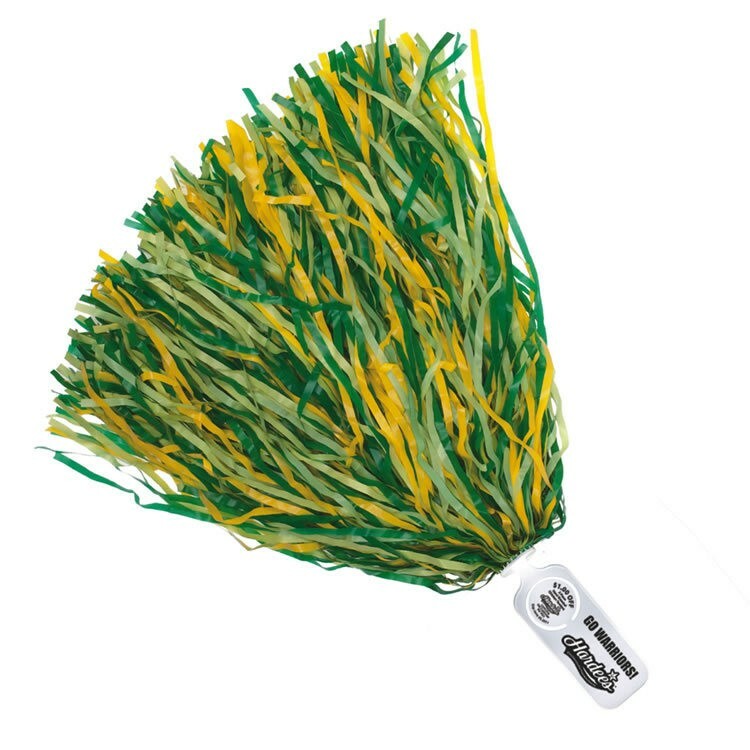 750-count streamer available. Up to four mixed streamer colors at no additional charge. 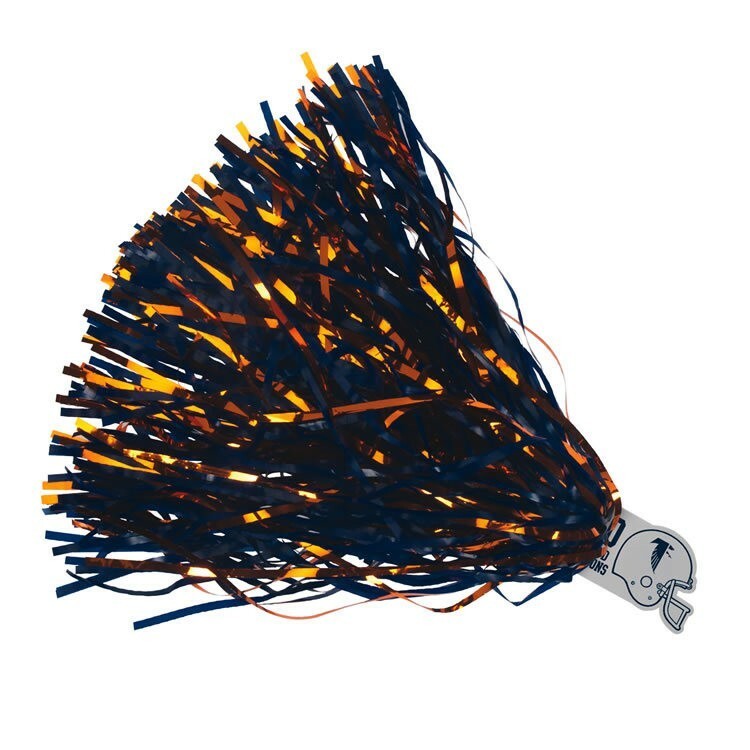 7/16" wide-cut 220-count streamers available. Available with sparkling Glitter Streamers. Made in USA. 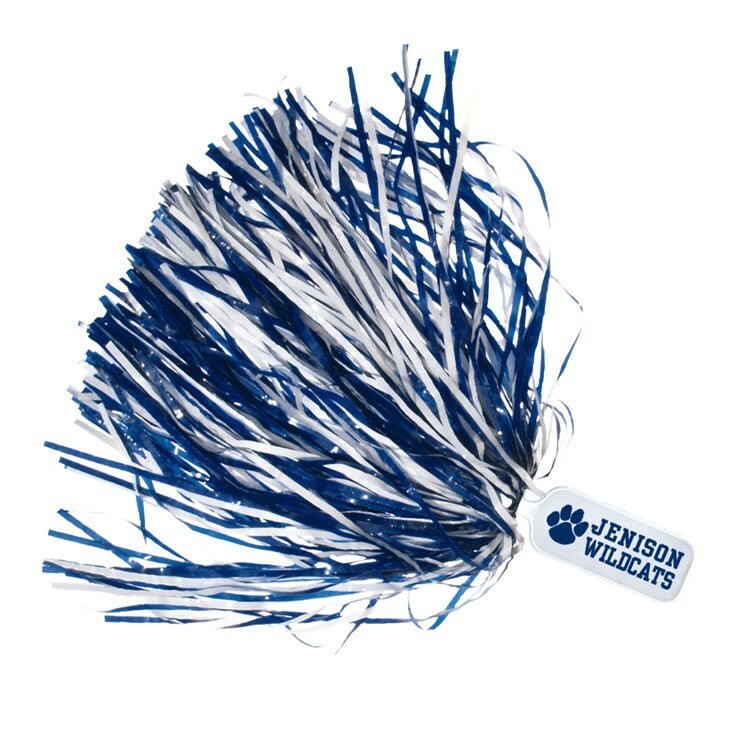 The Cheerstar pom features a large rounded handle that is easy to grip. 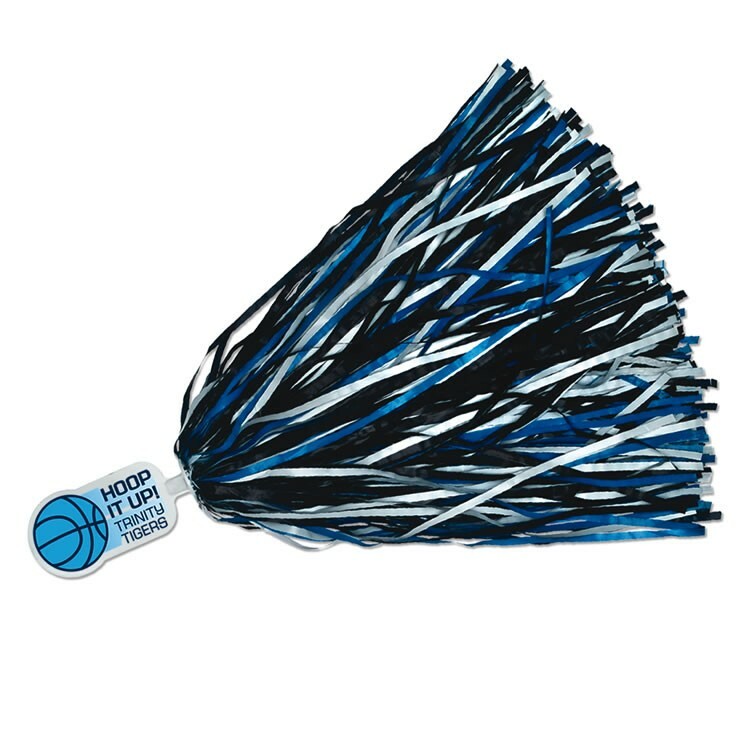 Each pom consists of approximately 1,250 or 1,750 - 12” plastics streamers in either a solid color or two colors mixed styles. The 4” plastic handle can also be imprinted with your own custom message. • Sixteen different and popular spirit shapes. • 3/16”wide by 12” long plastic streamers. • Available in streamer counts of 500, 750 and 1000. • Imprint on 1 or 2 sides. •Made in the U.S.A. 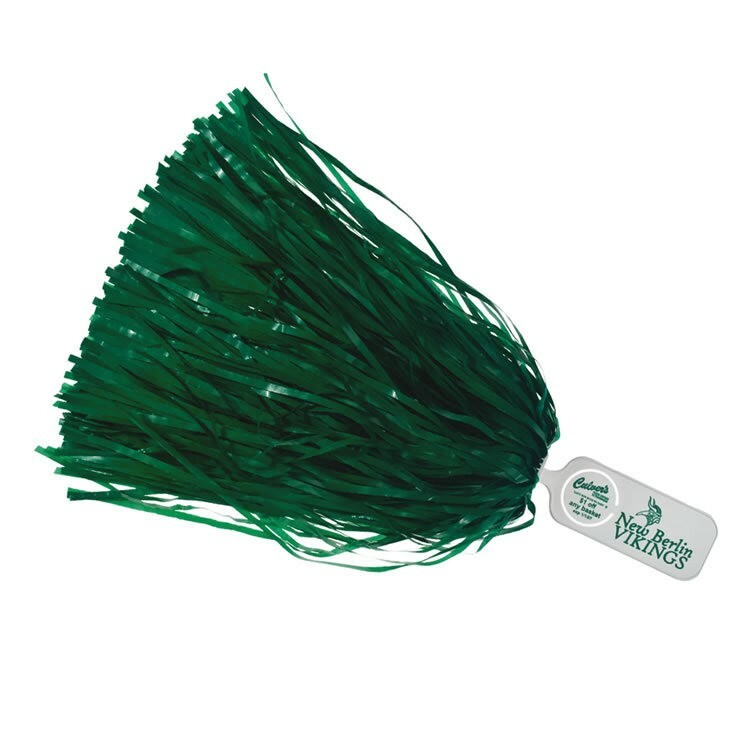 Economical and durable, Rooter Poms are among the safest long-handle poms on the market today. 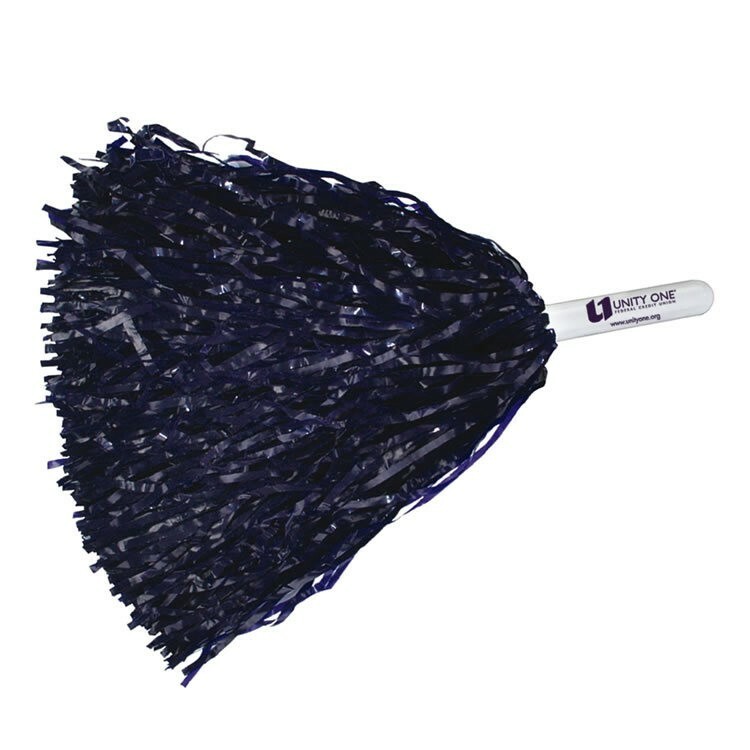 The 12" long unbreakable and flexible, molded plastic handle can be imprinted with a sponsor or team name on 1 or 2 sides. 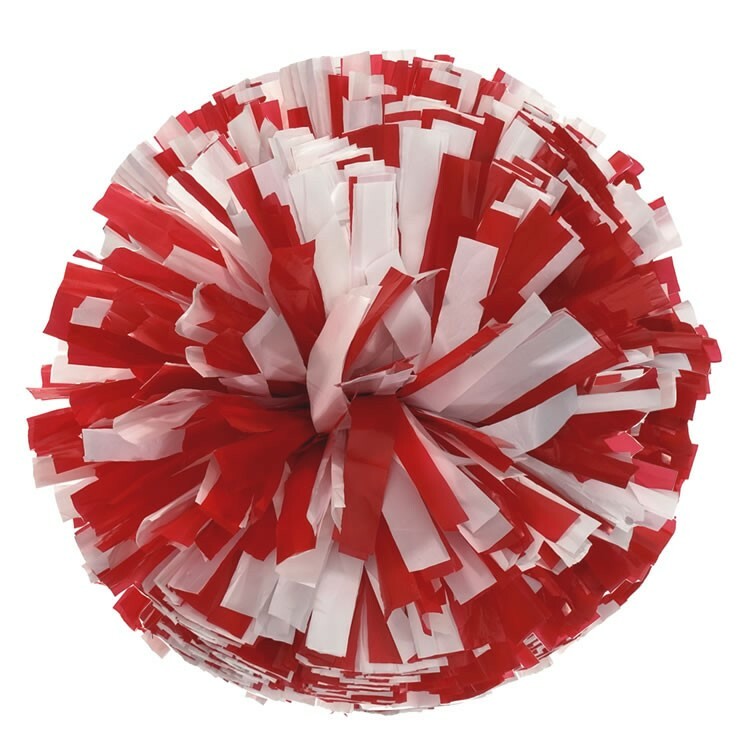 Add glitter to make your pom sparkle or choose a bolder look with our wide streamer pom. 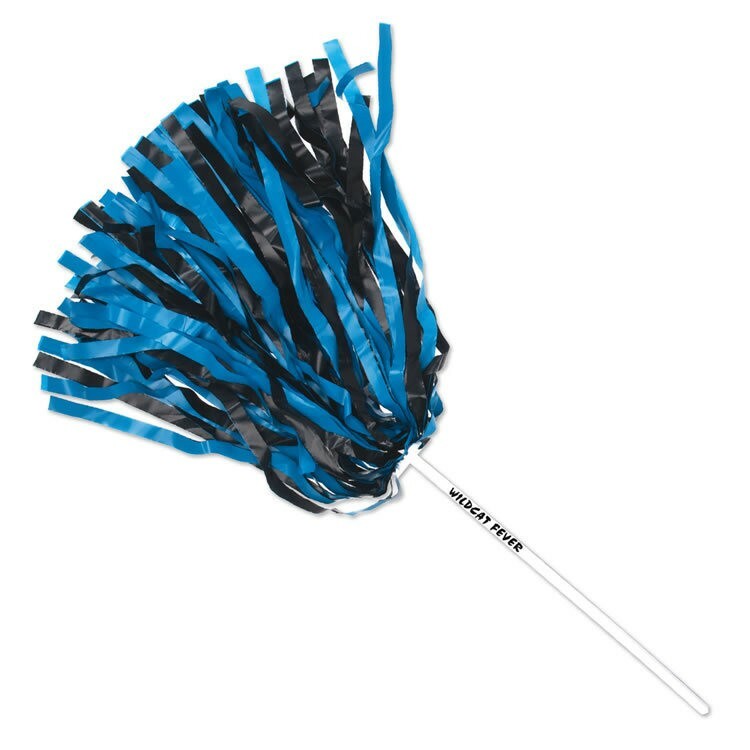 750 poms have 50% more streamers for a fuller, more colorful pom. 12" long safety handle made of unbreakable molded plastic. 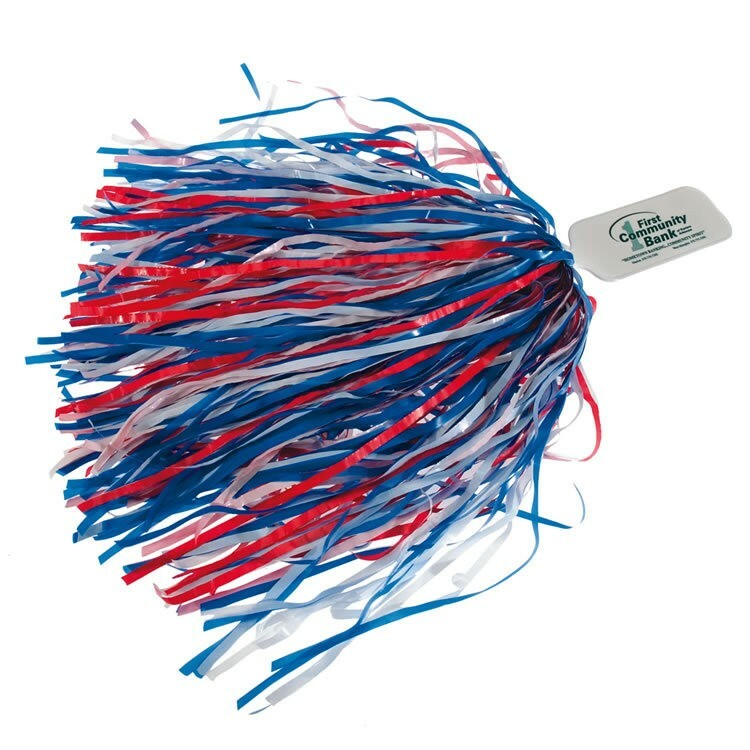 Durable 12" plastic streamers.500-count 3/16" streamer pom. 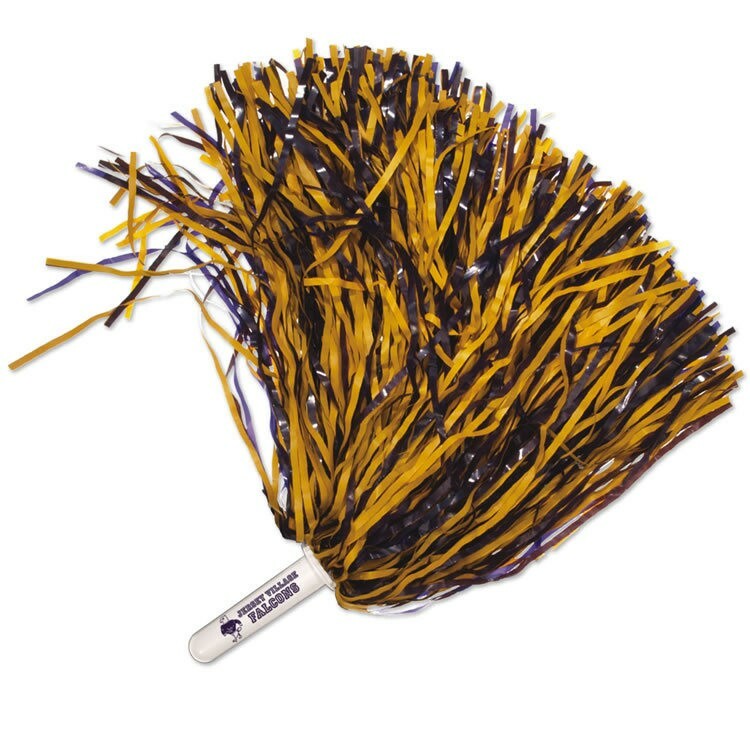 750-count streamer available. Up to four mixed streamer colors at no additional charge. 7/16’’ wide-cut 220-count streamers available. Available with sparkling glitter streamers. Made in USA. 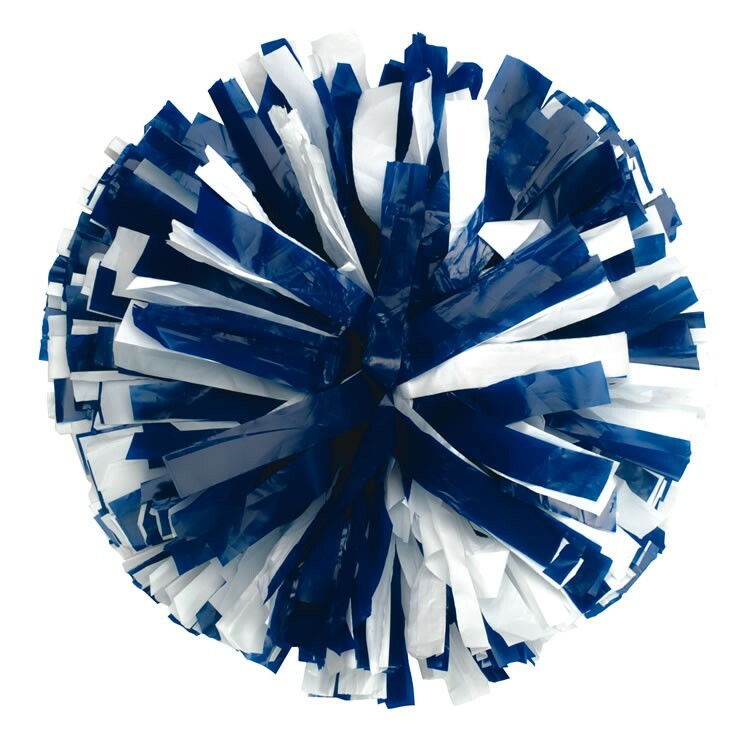 Combine the classic noisemaker with shiny metallic silver pom poms. Used at sporting events, parades, political rallies, sales meetings and other special events. They offer an opportunity for sponsorships and are ideal as a fundraiser for your school or organization. 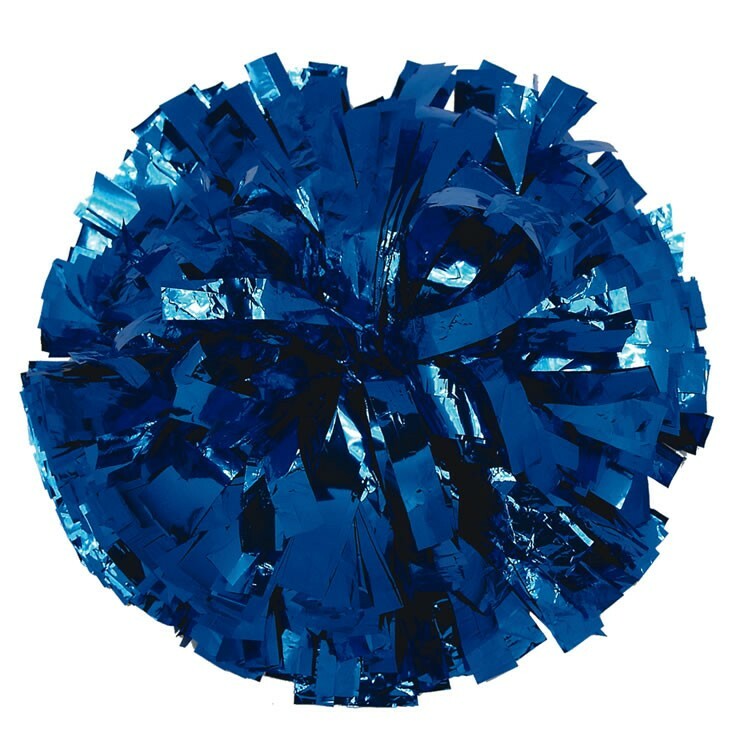 The GF625 Glitter pom features 625 streamers - 500 plastic and 125 metallic. Choose from 17 styles of plastic handles and imprint your team, event or sponsor information on 1 or 2 sides. • Large, molded plastic, paddle-shaped handle accomodates detailed logos and multicolored imprints. • 3/16”wide by 12” long plastic streamers. • Available in streamer counts of 500, 750 and 1000. • Also available with 220 3/4" wide streamers. • Imprint on 1 or 2 sides. • Made in the U.S.A.